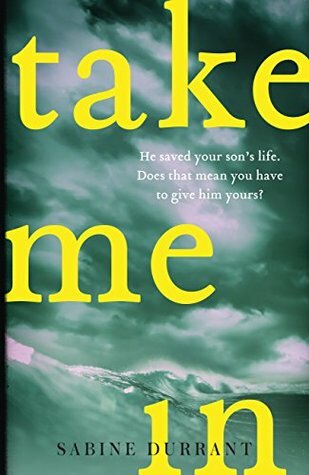 The sensational new thriller from the author of the Richard & Judy bestseller Lie With Me. Tessa and Marcus went on holiday to save their marriage. Instead they nearly lost their son. In that fatal moment of inattention a stranger stepped in. And now Dave Jepsom is in their lives. And he’s exposing secrets they would do anything to hide. If they could just go back. Not make that one terrible mistake. But it’s never how it starts that matters. It’s always how it ends. I am a big fan of this author. She never fails to surprise me, to lead me completely and easily away from the essence of truth in the narrative, I am always amazed and sometimes petrified by the end of the story. You will read this in two sittings: there is so much tension, so much anticipation of the worst to come that you will walk away and let the knots unravel in your stomach before you pick this book up again and finish reading. A powerful read. Keeping her secret may save her family. But telling it may save her life. Arabella Lane, senior executive at a children’s publisher, is found dead in the Thames on a frosty winter’s morning after the office Christmas party. No one is sure whether she jumped or was pushed. The one person who may know the truth is the newest employee at Parker & Lane – the office temp, Eleanor. Eleanor has travelled to London to escape the repercussions of her traumatic childhood in outback Australia, but now tragedy seems to follow her wherever she goes. To her horror, she has no memory of the crucial hours leading up to Arabella’s death – memory that will either incriminate or absolve her. As Eleanor desperately tries to remember her missing hours and uncover the events of that fateful night, her own extended family is dragged further into the dark, terrifying terrain of blame, suspicion and guilt. Caught in a crossfire of accusations, Eleanor fears she can’t even trust herself, let alone the people around her. And soon, she’ll find herself in a race against time to find out just what happened that night – and discover just how deadly some secrets can be. It took me a little time to warm to the protagonist – the death of Arabella Lane in the UK presents a story line that is not particularly warm or sympathetic; Arabella’s character is manipulative and Eleanor appears stunted by fear, is lonely, low in confidence and has a mysterious past that we want to unravel. The second narrative, of Eleanor’s childhood, reaches out to your heartstrings, you can feel the loneliness, the frisson of fear and anticipation of the revealing of unspeakable events causing static as you turn the pages. In the telling of the two histories Eleanor becomes whole; empathetic and intriguing. For this is a story of intrigue – so much is not what it seems. 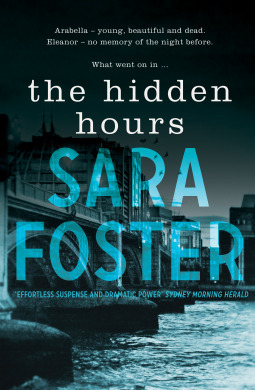 Sara Foster cleverly leads us on tour of discovery complete with dead ends, false starts, false leads and so much anticipation. Several times I thought I knew where/how this mystery would resolve…and I was wrong each time. This is very cleverly plotted and paced mystery. Trust no one. A great read. Thank you Sara Foster. In July 1970, actress Elaina Styles was slain in her rented Seattle mansion along with her husband and their son’s nanny. When the baby’s remains were found buried in a shallow grave close to a hippie commune, police moved in—only to find all its members already dead in a grisly mass suicide. As Laurie digs deep into what happened all those years ago, the truth emerges more twisted than any whispered rumor, as a legacy of brutal vengeance reaches its terrifying climax. The Pros – Scarily atmospheric – the sense of impeding violence and bullying was real and pulse raising. The night I read this I was home alone, well almost alone, I had two dogs with me, if not for their company and protection if need be, I would have stopped reading this book and left it for the daylight hours…in places this was creepy. The Cons – This narrative was complicated with back stories that became precursors to main events, at times it felt like this was three stories badly meshing together trying to flow as one. I don’t think my understanding of the multiple plot lines was assisted by reading this book in a pdf format on my ereader. I usually enlarge the font when I reading a novel on my ereader – this seems to then through all the page breaks/chapter breaks out the window and I think this lead to confusion on more than one occasion – where for example I was hearing the voice/story of one character and the next line was immediately in the view point of someone else – without a pause or obvious or break, very confusing…I found myself re reading pages often trying to work out what was happening. I also thought the narrative could have been more effective told with fewer words. I also had trouble suspending my disbelief on a few occasions. Overall – I think if I had read this narrative in the shape of a physical book my understanding and therefore my enjoyment of the complex plot would have been greater. Kevin O’Brien excels in creating spooky atmosphere and psychological suspense and tension. In the mail sometime in the newt few weeks I will be receiving a review copy of this amazing sounding book. 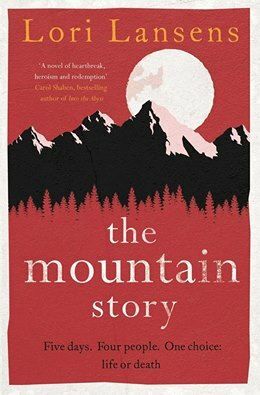 Lori Lansens’ The Mountain Story is calling me. The book trailer just oozes fear, suspense and evokes spine chilling apprehension. https://www.youtube.com/watch?v=QDz5psqj-f4 This is a great example where less is more. Can anyone suggest who is narrating the video clip? I think it is TJ Thyne from Bones? When a book trailer is done well – it really works as this one does. Stay tuned for my review , I am clearing my diary for this one, I just know I will read this one in one sitting. Thanks in anticipation Simon and Schuster Australia for my copy of this book. The hauntingly beautiful story of a young girl transformed by the power of kindness from award-winning author Favel Parrett. Running away from the mainland was supposed to make their lives better. But, for Isla and her brother, their mother’s sadness and the cold, damp greyness of Hobart’s stone streets seeps into everything. Then, one morning, Isla sees a red ship. That colour lights her day. And when a sailor from the ship befriends her mother, he shares his stories with them all – of Antarctica, his home in Denmark and life on board. Like the snow white petrels that survive in the harshest coldest place, this lonely girl at the bottom of the world will learn that it is possible to go anywhere, be anything. But she will also find out that it is just as easy to lose it all. For Isla, those two long summers will change everything. 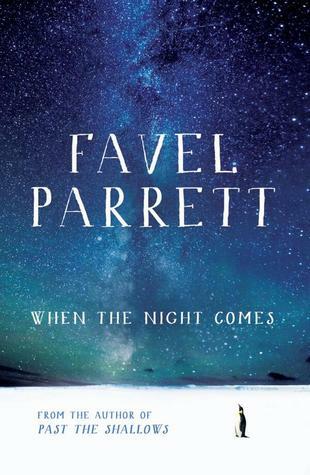 Favel Parrett delivers an evocative and gently told story about the power fear and kindness have to change lives. This is a beautifully written book – I loved the language, the style, the characters, the setting … the realistic optimism this work conveys. This narrative reminds me that there are kind, gentle, thoughtful, sensitive people in the world and if you think hard enough you will be able to identify some in your own life that have eased the way for you; these are remarkable people and this book pays homage to these memories. Ms Parrett takes you on a journey – literally and figuratively – we journey with the crew of the MS Nella Dan – a ship that is home to so many, filled with extraordinary characters, where we learn you don’t have to be related to be part of a family. We journey with Isla as she is shown a different path, one of light and inspiration and happiness through storytelling, thoughtfulness, inclusivity and kindness. This is a beautifully executed book that takes you to new places and adventures- Antarctica, Hobart Tasmania, Denmark and the classroom – where we are reminded that some teachers do make a difference. I loved the descriptions of the of foreign landscapes in this book – in particular the description of the snow kestrels is haunting and evocative, the “little angels come down from the sky and fly around you…I closed my eye and dreamt of falling snow that turned to pure white birds. I watched each snowflake fly away one by one, and I wished I had wings so that I could go with them. I wish that I could follow.” Beautiful. A very well plotted, complex and darkly atmospheric mystery. When night falls, fear spreads . . . The Lake District: a wild landscape, rife with stories. Detectives Zoe Barnes and Sam Taylor are called to investigate the disappearance of two children. But they quickly realise they have been drawn into a complex and unnerving case that hides a much darker intent: as they dig deeper, whispers grow of a community hiding a deadly secret – and talk of witches, the like of which hasn’t been heard since the seventeenth century, is spreading. Zoe and Sam will have to work fast to save lives; but in this atmosphere of fear and mistrust, can they even rely on each other? 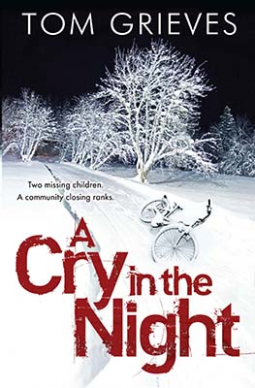 This well written narrative explores the sinister side-effects that occur in a family and a community when a couple of young children go missing. Paranoia, irrational ideas and mob violence ripple across what on the surface appears as a peaceful and quiet village. The tension is palpable; old hurts, prejudices, grief, blame, deceit and exclusive behaviours combine to create a gripping cloak of fear and distrust amongst all involved in this mystery. The web of distrust spreads trapping those who are commissioned to solve this case. The characters are well developed, flawed and believable. This is such a complex story, missing children tug at the hearts of all and there is a suspicion that there is a link to previous incidents involving the death of other children; suddenly a conspiracy blossoms and smothers rationality. Hurt is everywhere. Blame rises to the surface. Many emotions are put under the spotlight; grief can be blinding, dis-empowering, small incidents become mountains that cannot be crossed. This is a rich and powerful narrative about the fragility of being human. This is also an interesting study in systemic/institutionalised sexism and bullying – in this instance in the police force; this layer of the narrative was particularly interesting yet at the same time unpalatable. It had a realness that saddened me; I was not surprised by the attitudes, just saddened. Yet above all this is a fantastic mystery and psychological thriller. You will be enthralled with the developing story, the mystery, and the suspicions, the veil of fear and the links to a sinister past. You will not want to put this book down till you have turned the last page. This is a powerful read on so many levels; take from it what you want to find.